From the time I was 30 to mid-50s, poetry was the passionate love of my life. Poems poured out of me like love letters to a beloved. After the beloved was gone, I still had the poems and they kept arriving in a flurry. I would keep working on poems until they left me shaken, trembling from the effort, sometimes sobbing when I read the poem aloud for the first time. I brought out my first book of poetry when I turned fifty, giving readings at small bookstores and libraries around mid-coast Maine. People would come up to me in the grocery store or on the street in my little town, and say, I keep your poems next to my bed and read them before I go to sleep. You write about things I never knew anyone else ever felt. I had read novels steadily through my 20’s until 1981, when poetry broke into my life under the Gothic arches of Grace Cathedral in San Francisco. Packed into pews in the candlelit sanctuary, Robert Bly read his recent translations of Rainer Maria Rilke. He read the original German, slowing it down, admonishing us to hear and feel the repetition of sounds before he read the words in English. As he took us into the poem “The Archaic Torso of Apollo,” he repeated the final lines: “and the body wouldn’t send out light from every edge/ as a star does…for there is no place at all/ that isn’t looking at you. You must change your life.” I was carried away with the crowd as we sighed together, the poem entering us, shaking us in both sound and mystery. Poetry was suddenly what I craved. I carried home my purple copy of Bly’s Selected Poems, which would live at my bedside over the next decade until the dogeared pages would be scribbled on by my young children, jealous of my adored companion. As I began to discover my voice in writing poetry, I wanted contained, compressed units of life, experience, and language. I experienced life in the scale of poetry, as concentrated brief events, or conversations, that touched the bigness in the moment. I loved the space between words, the leaps of mind, and the spaciousness that came after being transported in a poem. I loved the space between poems, the pause, the breathing space. There was something so intimate about poetry. With a novel, I gobbled, hurtled, felt a hunger to keep eating more. With poetry, I read slowly, savored, digested, stared off into space, before dipping in again. Over twenty-five years, I wrote, read, brought out four books of poems, and as the poet laureate of my small town in Maine, promoted the appreciation of poetry. Friends asked why my car’s license plate didn’t say “Poetry.” Strangely, I hedged, wondering if that might not always be who I was. And then suddenly, my love affair with poetry was over. I was in my mid-fifties when I had a surgical procedure to correct a heart arrhythmia. Strangely, I was afraid that I would lose poetry from the surgery. And strangely afterwards, poetry, how it had always come to me, as a passionate leap and flourish in my mind, disappeared. That voice went silent. I felt cast adrift. I had a terrible cough that shook me unless I breathed shallowly, and I had to lie absolutely still for a month, watching the snow melting in my yard in Maine at the end of winter. In that weary lonely time, a curious thing happened. I began to wake with memories from my childhood that demanded to be written down. I could only sit up for an hour on the couch, and I typed to record the stories this little girl’s voice was telling me. I remembered how as a girl I ran and jumped onto my bed so a witch couldn’t catch my feet. I remembered the pattern of wall paper beside my bed, and how I picked my nose and stuck my snot against the wall below the covers so no one would see. I remembered how I lay on my bed with my head against the wall. If I stared up at the ceiling just right, the horizon line opened up and I saw a magical world beyond the ceiling. This new writing was completely different from the leap of intense poetry. These childhood stories came to me slowly, like paddling a canoe down a sleepy river. Each morning I got into the canoe and kept paddling. For the next two years, the stream of memories kept coming. I wrote vivid incidents and scenes and voices from my childhood, teens and twenties. I kept writing every story that came. This was not just my story, I was capturing the story of a family, in a house, in a village, in a time in history. The breadth of the story kept stretching out and deepening. I had to research history, study the history of modern architecture, interview my family and friends, and study old photos. I was writing a memoir. I was writing prose. I was a beginner and had so much to learn. I discovered a way to re-enter memory. I began with a scrap of a story or a photograph and stepped into that moment in an act of imagination. I would place my family around the dinner table, and suddenly I knew we were eating beef tongue my mother had just lifted out of the pressure cooker. I could hear my younger brother telling about the thickness of battleship metal, and heard my father’s anger ignite like a rocket before takeoff, and I could feel the family singed by the heat of his rage. I could walk around the room, seeing us all like actors frozen on a stage, as I gathered more details, the view out the sliding glass doors, the changing light, the music on the record player, to capture this world into a scene. But I had not only to bring to life what happened; I had to take it further, to reflect on my life and to develop a voice of authority. This was not just a coming of age story of a young woman, it was the story of an architect’s daughter. I had to reflect on how modernism affected the story and how the modern house we lived in intensified my father’s mental illness. I studied the texts on modernism where my father had discovered his life’s purpose. I returned to my home city for the first time in decades to the glass house we grew up in that my father designed, to many of his remaining buildings, to interview his old partners, and architectural historians. After years of unearthing memories and rigorous research, I was discovering a voice of insight a reader could trust, a voice that could thread the stories together. I was no longer the poet who focused on exquisitely detailed moments, lines of conversation, the placement of a comma, or a sequence of sounds in repeating lines. I felt like a painter who had radically changed the scale of my work, no longer a series of small careful still-lives. Instead I was capturing a vast landscape that covered the walls and ceiling and floor with both fine-detail and large brush strokes. This was my prose voice that came to meet the story I needed to tell. 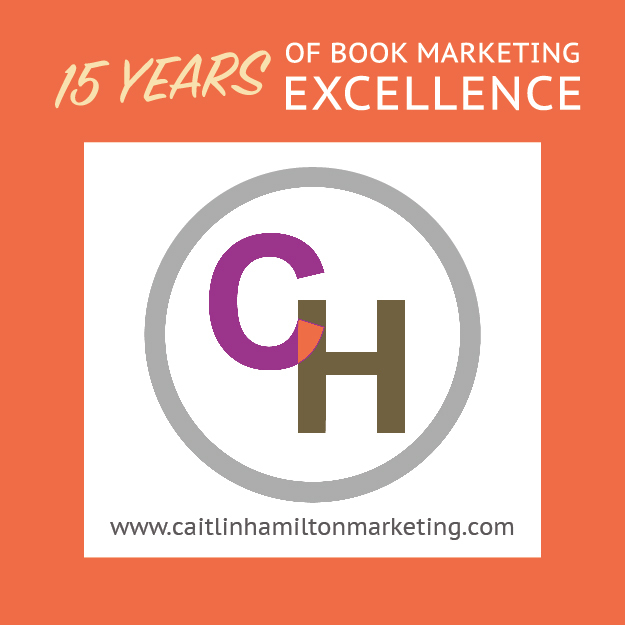 In my memoir, I needed to draw together a life of experience and carefully structure the story over a decade, until it was clarified into a compelling story. This prose writing for my memoir at first seemed so different from the rapid play of words and feelings, the passionate love affair that my poetry had been. In grief after surgery, I had believed my poet’s voice was gone. But those decades, when I fell in love with the tumble of words and sounds on the page, still lived in how my words found their arrangement in prose, and the arts of revision from poetry were put to work as prose lengthened into sentences. After I had constructed my memoir, one of my mentors reassured me, “Don’t worry, your poetry is alive and well in your prose.” Like the photo of an old love still carried in a favorite book. Elizabeth W. Garber is the author of Implosion: A Memoir of An Architect’s Daughter as well as three books of poetry, True Affections: Poems from a Small Town (2012), Listening Inside the Dance (2005) and Pierced by the Seasons (2004). Three of her poems have been read on NPR’s The Writer’s Almanac, and her poem “Feasting” was included in his Good Poems for Hard Times. She was awarded writing fellowships at Virginia Center for Creative Arts and Jentel Artist Residency Program in Wyoming. Garber studied Greek Epic in the Mythology and Folklore Department at Harvard, received a BA from Johns Hopkins, a MFA in creative non-fiction from University of Southern Maine’s Stonecoast Masters Program, and a Masters in Acupuncture from the Traditional Acupuncture Institute. She grew up in Cincinnati, Ohio and has maintained a private practice as an acupuncturist for over thirty years in mid-coast Maine, where she raised her family. 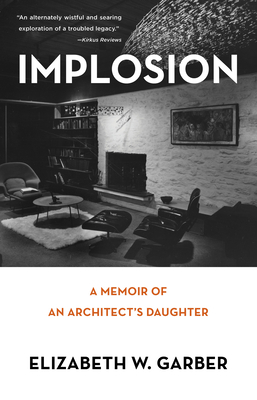 Tags: Elizabeth Garber, Implosion: A Memoir of an Architect's Daughter, Listening Inside the Dance, Pierced by the Seasons, True Affections: Poems from a Small Town. Bookmark the permalink.